Oh how time flies! As I sit here reflecting on all the amazing things that the Lord has done during our time here on the South Island I am reminded of how faithful our God is and how much he loves his children. 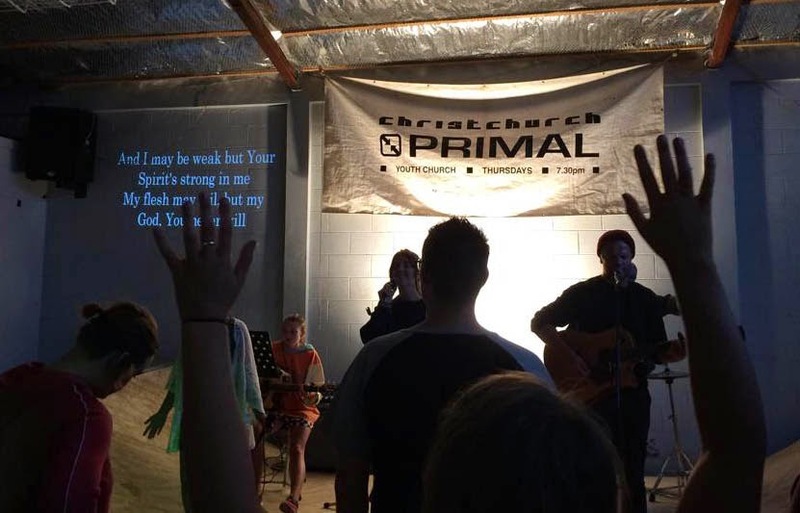 Over the last few weeks we wrapped up our time in Christchurch by helping out with C3 Church, packing and delivering food packages with 0800 Hungry and spending quality time with the backpackers in our hostel. During our time in the hostels, we believed that it would be most effective to split into two groups so we weren't overwhelming anyone with our large group. Us girls stayed at Around the World Backpackers Hostel while the guys stayed at Foley Towers Hostel just down the road from us. Our objective at the hostels was to spend quality time with the people staying at the hostels and to build relationships. One day I had the opportunity to bake some cookies which was a great conversation starter. The cookies were gone faster than I could put them on the plate. We spend a lot of time in the kitchen conversing with individuals from all around the globe (France, Germany, China, UK, Israel, Australia, USA to name a few). Another night we invited our roommate to join us for dinner. We provided the steak and potatoes and he brought the dessert. This reminded me of the story in Matthew 9 where Jesus was having dinner at Matthews house and many guests, despite their unpleasant disposition, ate a meal together. I love how Jesus was after mercy and not religion. He invited the outsiders not the righteous. It really opened my heart to just loving people for who they are and where they are at because that's what Jesus did. It was hard to say goodbye to our roommate at the end of our week stay but I pray many blessings upon him. Looking over all the people I met, there is one individual that has made a lasting impression and her name is Shanita. I met Shanita at Primal Youth. She's a 15 year old with a heart that burns with passion for the Lord. I love how God uses us despite our age to do amazing things. Shanita has multiple siblings and I could tell from the first time meeting her how much of a positive role model she was to them and other youth. As I got to know her she shared with me her dreams of going to school to become a youth pastor. I was able to pray for her and share some words of encouragement. I really had the since that God was so proud of her and that he was building her up to be an amazing leader. The funny thing about all of this is that she was such an encouragement to me. She would randomly Facebook me and just bless me with words of encouragement telling me of how I have blessed her. God truly doesn't need months to build lasting relationships, just give him your time and he can do things beyond our comprehension. I was super excited to see her multiple times throughout our time in Christchurch. It was hard to leave her without a "proper" goodbye but I know all things are possible and maybe I will see her again. I am so thankful for technology though. She truly has a special place in my heart and I am forever grateful for the time I did get to spend with her. After over two weeks in Christchurch, we drove several hours up to the northern tip of the south island to a town called Motueka. From there we embarked on a 3-night adventure backpacking on the Abel Tasman Coastal Track. 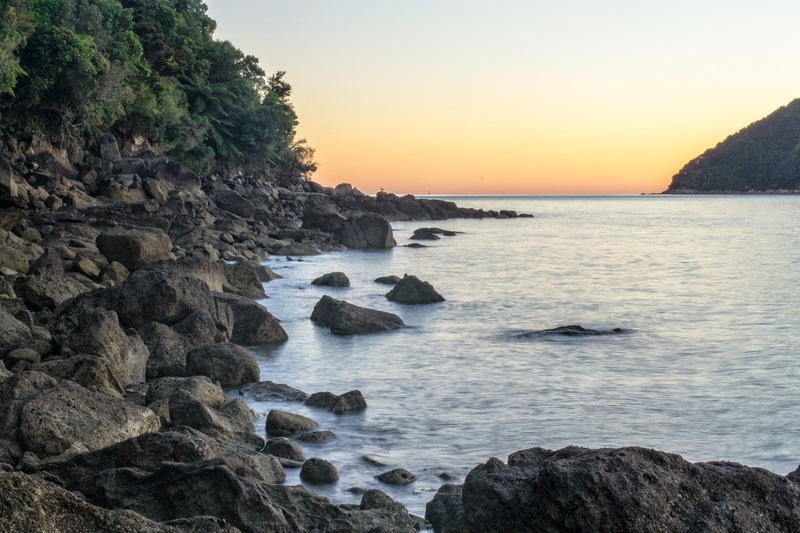 This is one of New Zealand's Great Walks, and for good reason - it is a beautiful walk through coastal rainforest and across spectaculars beaches. This time of year large numbers of people hike the trail or take water taxis in to some locations, so as we walked and camped we were again able to speak to heaps of people from all over the world. We brought extra food like popcorn, bacon, and pancakes to share and to help start conversations, and we connected with quite a few people just by chatting around campfires. Through this time, we were able to share about God several times, especially communicating the message that God wants a relationship with us rather than a group rule-following religious people. I even ended up in conversation with an atheist at about 7:30 in the morning as he walked up to me during my quiet time. As before, we learned the value not of shoving the gospel at people but of first loving them and communicating the love of Jesus. Overall, it was a challenging few days but an incredible way to end our outreach! Afterward, we spent a couple days in Motueka resting and reflecting on the trip before jumping back in the van and heading back up to North Island across the Cook Strait ferry. 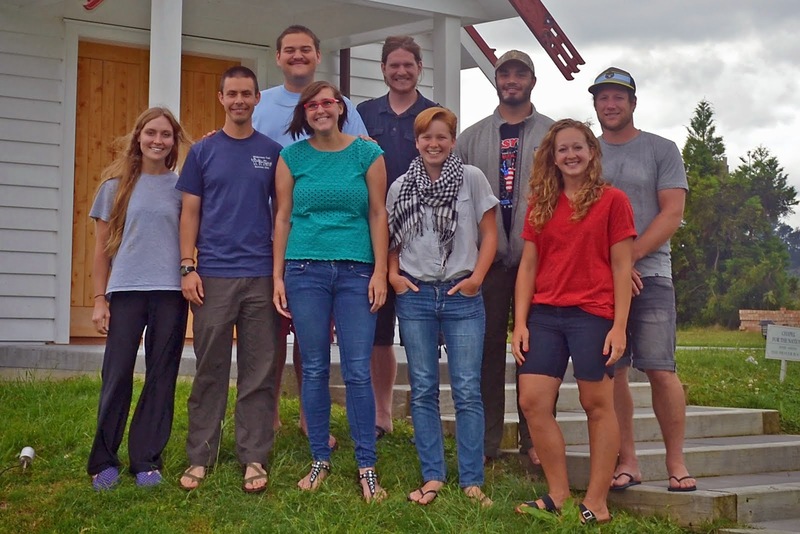 A couple days later, we were back at the base in Tauranga!